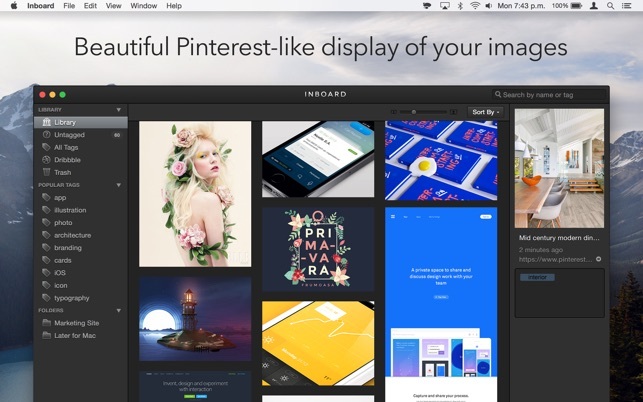 Get Inboard today for a straightforward easy-to-use image organizer app. 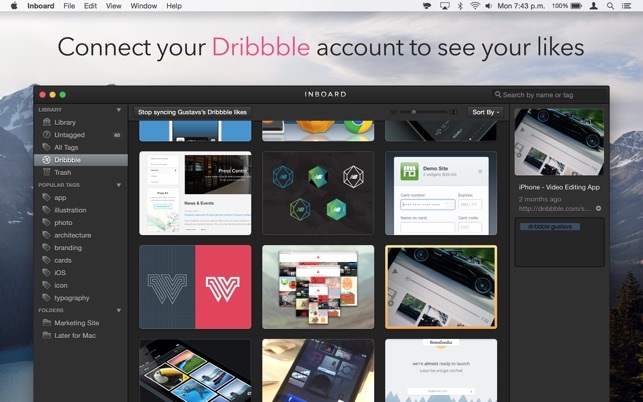 Email us at support@inboardapp.com or tweet us @inboardapp with your suggestions and questions. • Fully supports macOS Mojave. 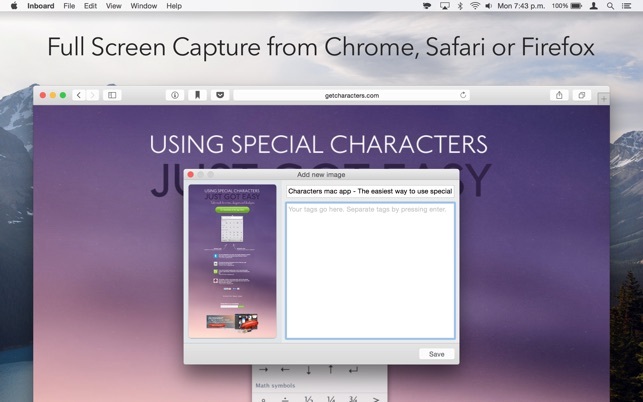 • Safari extension is now bundled with the app. You can enable in Safari’s Extensions preferences. • Untagged view now keeps scroll position when tagging images. The pinterst type display of images is nice but for me as a web designer needing an app to save website screenshots as a scrapbook to reference when working on design projects - this app does not capture modern web pages well. Modern as in websites that have sections and pieces that fall into place when you scroll down the page. I know it can be done because I have an extension in Chrome called Full Page Screenshot which does it really well. If I could just get that combined with an app like this to manage them it would be a dream. I wanted to have an app where I could manage my files but this app won't let you do that, it stores all the files within one single directory somewhere in the system. Had a very poor poor performance and now doesn't even run on the Mojave. Last update is 6moths ago which means it's abandoned. App freezes consistently in OSX Mojave. I've reached out to the developers about various issues but have not gotten any response. Until the app is updated, it is unusable.